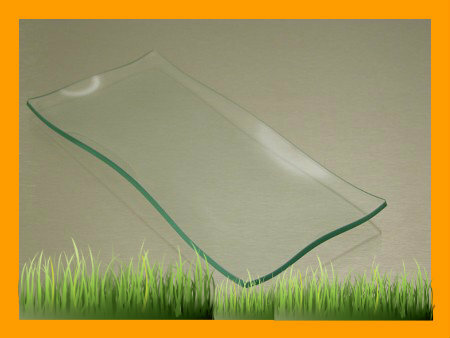 Home > Clear Glass Decoupage Plates > Rectangle Glass Plates > 4" x 8" Ruffled Rectangle 1/8"
Clear glass plate with a wavy bend. 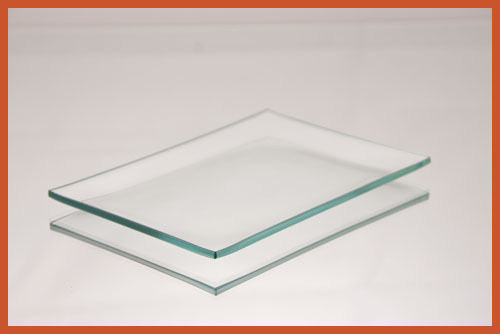 Approximate dimensions: 3 ¾” x 7 ¾” x .5” deep. 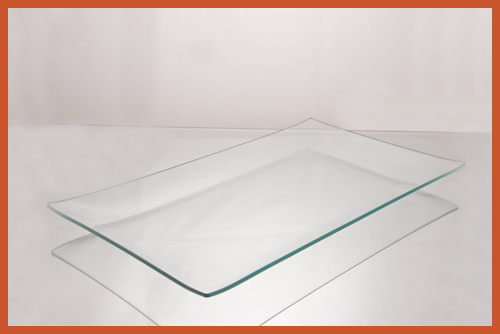 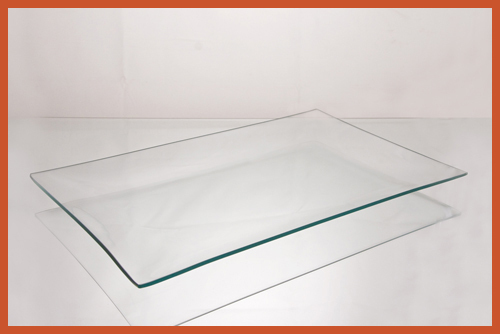 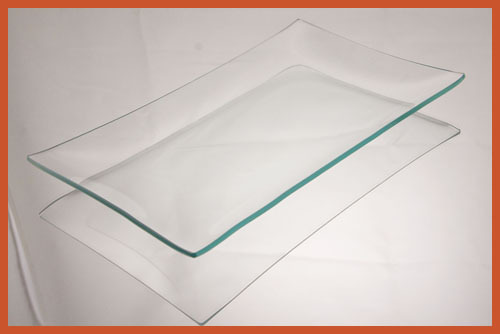 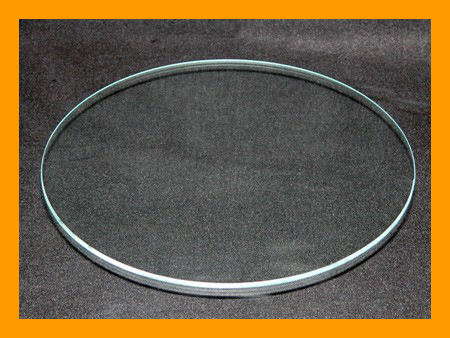 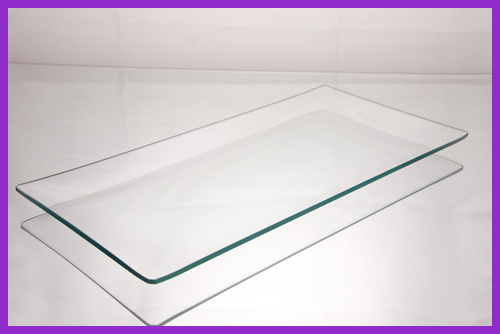 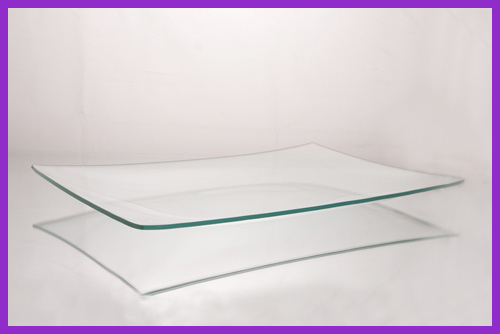 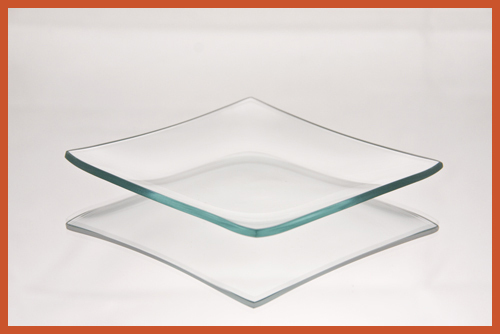 Approximate base size: 1 1/2" x 5 1/4"
Perfect for restaurants, catering, serving, etc.